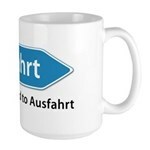 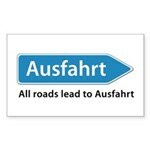 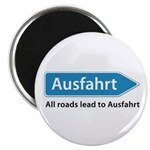 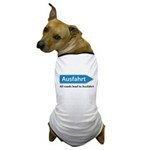 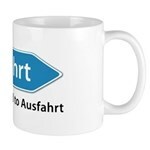 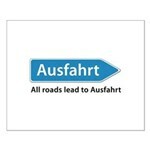 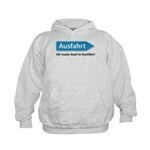 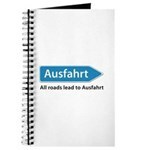 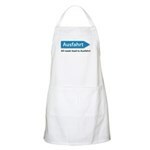 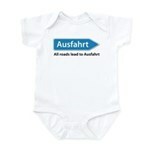 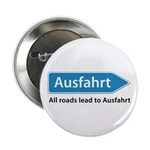 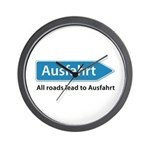 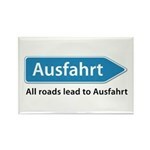 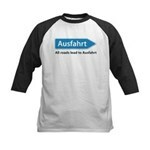 Okay, let's get one thing out of the way: The German word for Exit is Ausfahrt. 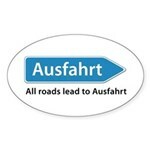 Yes, it's a funny word. 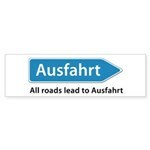 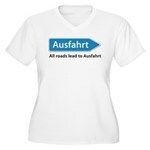 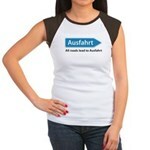 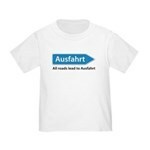 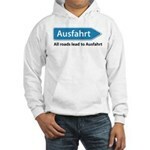 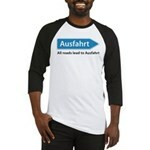 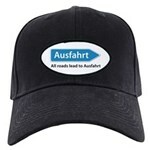 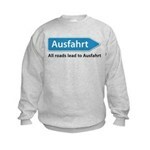 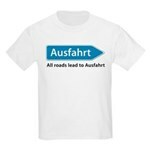 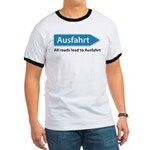 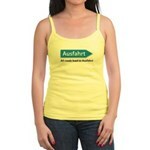 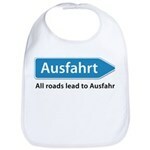 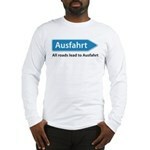 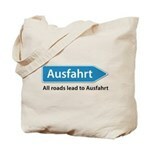 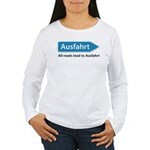 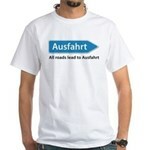 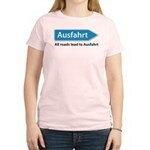 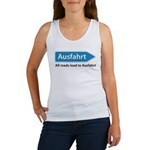 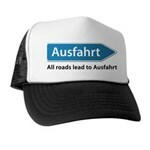 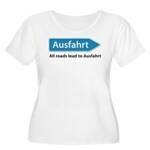 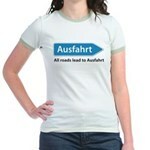 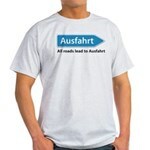 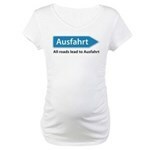 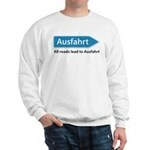 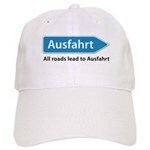 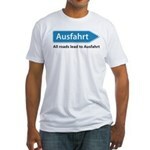 But this silly t-shirt design takes the fun a step further with the subtitle under the Ausfahrt road sign: All roads lead to Ausfahrt. 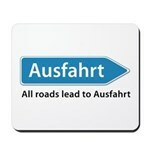 It's funny because it's true.